« Ibanez TS-808 Tube Screamer Reissue Switch Repair. A significant proportion of our work is pedal repairs. You’ll often not see any of one type of pedal for months, but then, just like buses, a load of the same type will come along. 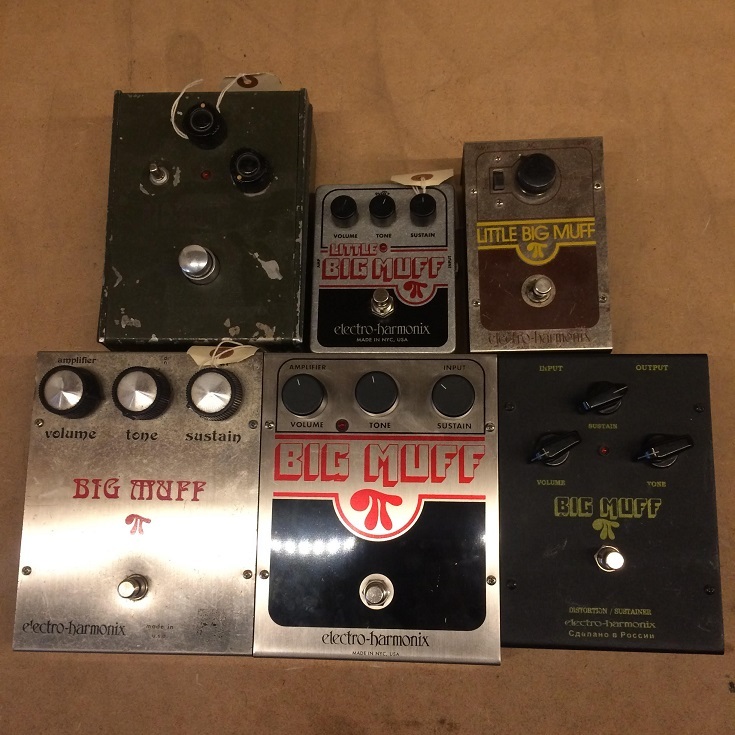 Here’s a selection of EH Big Muffs (and indeed Little Muffs) that we recently repaired. This entry was posted in Effects pedal, Effects repair, JPF Amps, London and tagged effects, JPF, Repair. Bookmark the permalink. Post a comment or leave a trackback: Trackback URL.